Often, when rocks from space hurtle towards Earth, they burn up in the atmosphere before actually reaching us. The ones that vaporize become a meteor - or a shooting star. 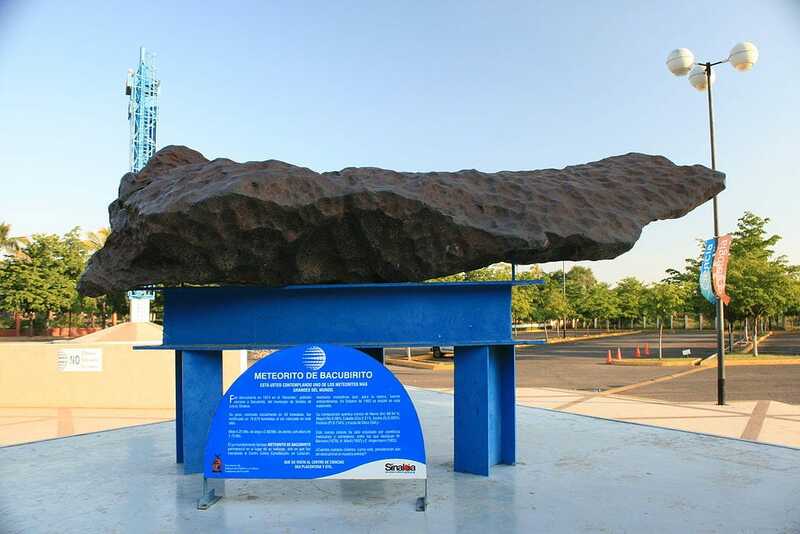 Willamette is the largest meteorite ever found in the US, at 7.8 square metres (84 square feet) long and with a weight of 15.5 tonnes (34,000 pounds). 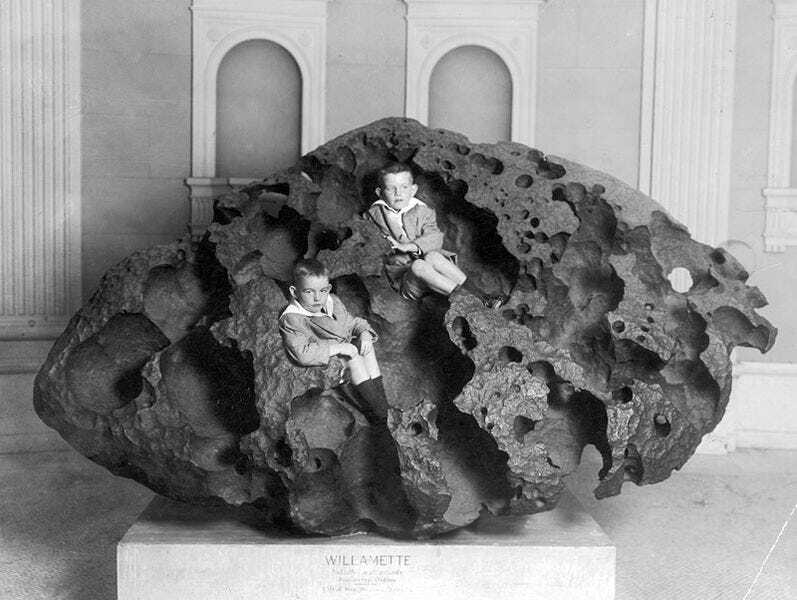 The Willamette Meteorite is made up of iron and nickel and was acquired by the American Museum of Natural History in New York City in 1906. It has an interesting little story attached, because it was discovered by Ellis Hughes in 1902 who recognized that it was more than a piece of rock, and spent three months shifting it three quarters of a mile from land owned by the Oregon Iron and Steel Company, but he was caught. The photo above was taken at the American Museum of Natural History in New York City in 1911. Mbozi was once a sacred stone to the people of Tanzania, who call it kimondo. No crater was found, which means it probably rolled like a boulder when it hit the Earth's surface. Mbozi was partially buried when it was first discovered, so people dug the hillside around it, leaving a pillar of soil underneath, which was then turned into a plinth. The Cape York meteorite, or Agpalilik meteorite, was discovered in 1993 in Greenland and weighs about 20 tonnes. It's been around a long time, and Inuit living near it used other pieces as a source of mental for tools and harpoons. It is currently on display in the Geological Museum of the University of Copenhagen, Denmark. The Bacubirito meteorite was fund in 1863 by the geologist Gilbert Ellis Bailey in the village of Ranchito near the town of Sinaloa de Leyva. He had been sent there by the Chicago journal the Interocean to Central and South America, and excavated the meteorite with the help of local people. 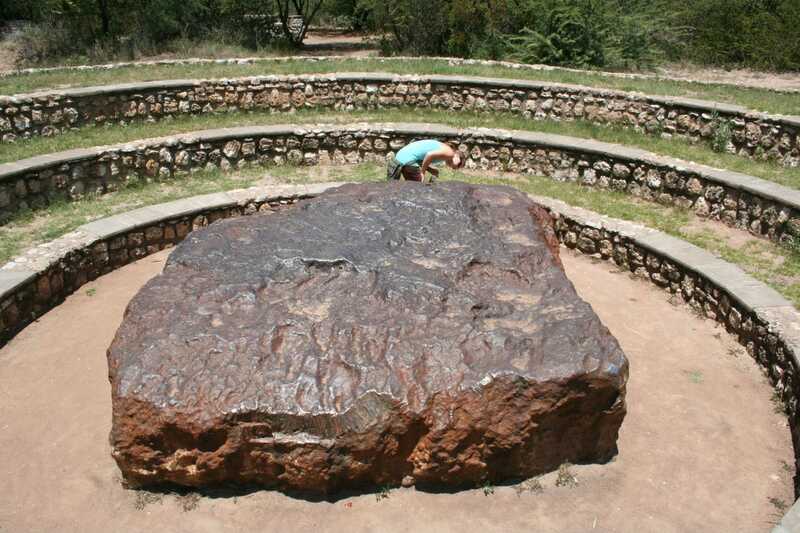 It's an iron meteorite that weighs about 20 tonnes, and measures 4.25 meters long, 2 meters wide, and 1.75 meters high. It is currently on display in the Centro de Ciencias de Sinaloa. A group of meteorites called Campo del Cielo are responsible for the 60 sq km crater field of the same name in Argentina. 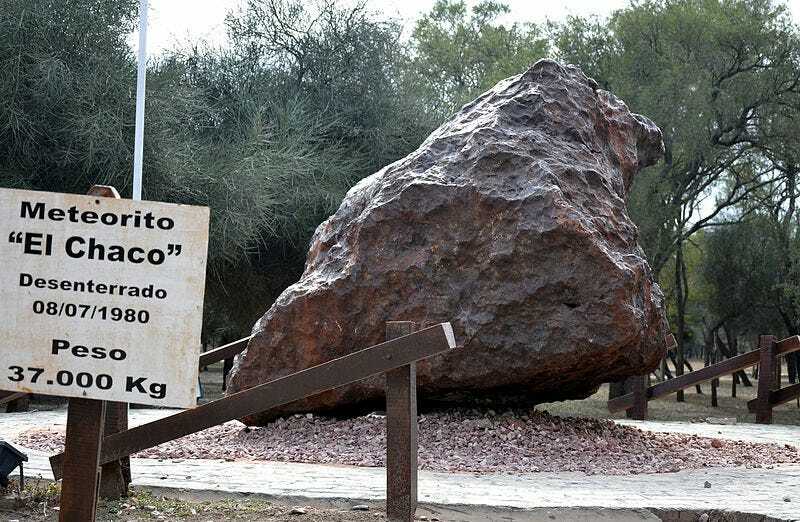 One of the fragments, El Chaco, is the second heaviest meteorite recovered on Earth, weighing 37 tonnes. It was located in 1969, 5 metres under the ground using a metal detector, even though the surrounding craters were already well known to locals. In 1990 there was a plot by meteorite hunter Robert Haag to steal El Chaco, but he was caught by a local Argentinean police officer. Hoba is nearly twice the weight of its nearest rival El Chaco at 60 tonnes. This makes it the biggest naturally occurring piece of iron known on Earth's surface at 6.5 square metres. 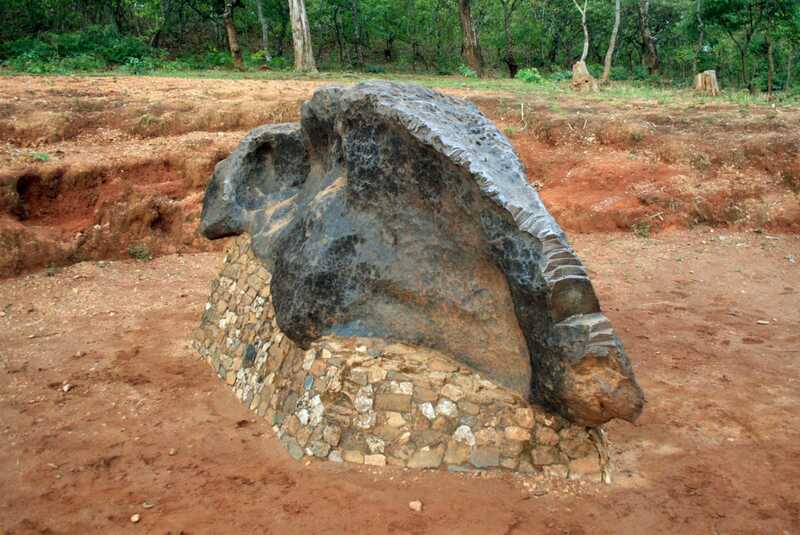 It's thought to have landed around 80,000 years ago, and since then it has never been moved because of its mega size. 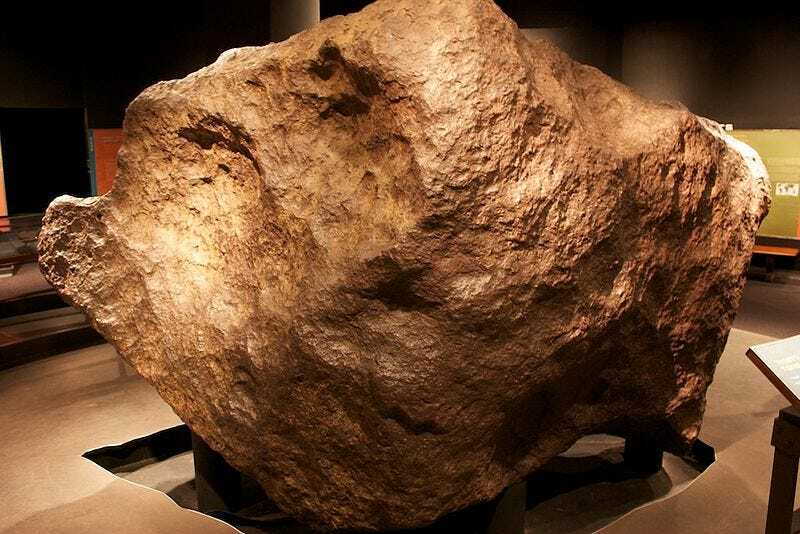 It never had to be dug up either - one theory is that the meteorite's shape caused it to skip along the surface of Earth rather than crashing and burying itself.